Arrive at 4 p.m. for registration on April 5th, dinner starts at 6:50 p.m.
Planning Team: Christi Bowman, Karen Pierson, Julie Wheeler. 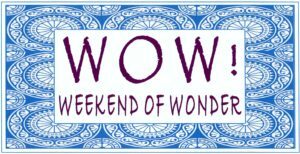 The Weekend of Wonder Women’s Retreat returns to the PSWD calendar in 2019. Women are encouraged to make plans to join their sisters the weekend of April 5-7 for a time of fellowship, learning, prayer, and enjoying creation, at the Murrieta Hot Springs Retreat Center in Murrieta Hot Springs, CA (near Temecula, 40 miles south of Riverside MAP LINK) . There are no single rooms this year. Rooms are ground level and a shuttle which can take people all over the compound from early morning ’til late at night. Come join in the rejuvenation of fellowship and taking the waters. Hope you can join us next year. All 25 spots were filled ! !